LOUISVILLE, Ky. – The U.S. Department of Agriculture’s National Agricultural Statistics Service (NASS) released its Small Grains Summary Report today from the Small Grains Production Survey conducted earlier this month. 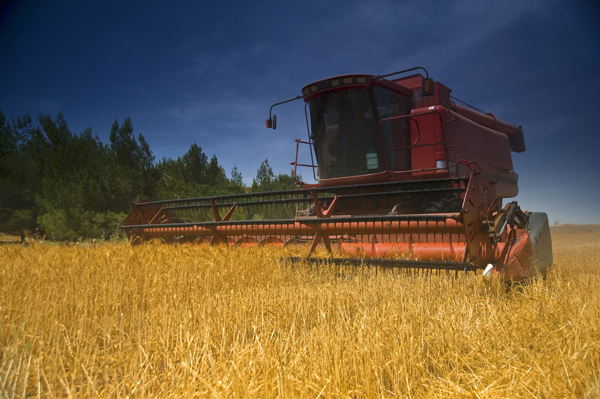 Farmers harvested 19.8 million bushels of winter wheat during the summer of 2018. This was down 17 percent from the previous year. Yield is estimated at 66.0 bushels per acre, down 11.0 bushels from 2017. Farmers seeded 450,000 acres last fall, down 30,000 acres from 2017. Area harvested for grain totaled 300,000 acres. Acres for other uses totaled 150,000 acres and was used as cover crop, cut as hay, chopped for silage or abandoned. Production of all wheat for the U.S. totaled 1.88 billion bushels, up 8 percent from 2017. Grain area totaled 39.6 million acres, up 5 percent from the previous year. The United States yield is estimated at 47.6 bushels per acre, and up 1.3 bushels from last year. The levels of production and changes from 2017 by type are winter wheat, 1.18 billion bushels, down 7 percent; other spring wheat, 623 million bushels, up 50 percent, and durum wheat, 77.3 million bushels, up 41 percent.